The funding plan includes a wholesale tax on fuel that would raise gasoline prices by 3 cents a gallon and diesel prices by 6 cents a gallon. LITTLE ROCK, Ark. (AP) Arkansas' governor on Feb. 11 unveiled a $300 million highway funding plan that calls for increasing taxes and tapping into expected casino revenue, hoping to win over fellow Republicans who have said they want to address road needs before taking up his proposed income tax cut. Gov. Asa Hutchinson and legislative leaders detailed the highway plan five weeks into a legislative session in which they said road funding would be a priority. The state Senate approved Hutchinson's $97 million tax cut proposal a week earlier, but it's faced resistance from some GOP lawmakers who have said they want action on roads. Hutchinson called his proposal the best way to address a growing gap in road funding without diverting money from needed services. "This plan achieves the right balance," Hutchinson said at a news conference at the state Capitol. "It is affordable, it is prudent for our budget and it is reasonable." Hutchinson's proposal includes asking voters next year to extend a half-cent sales tax for roads that was approved in 2012. If approved, the sales tax would raise nearly $206 million a year for state highways. 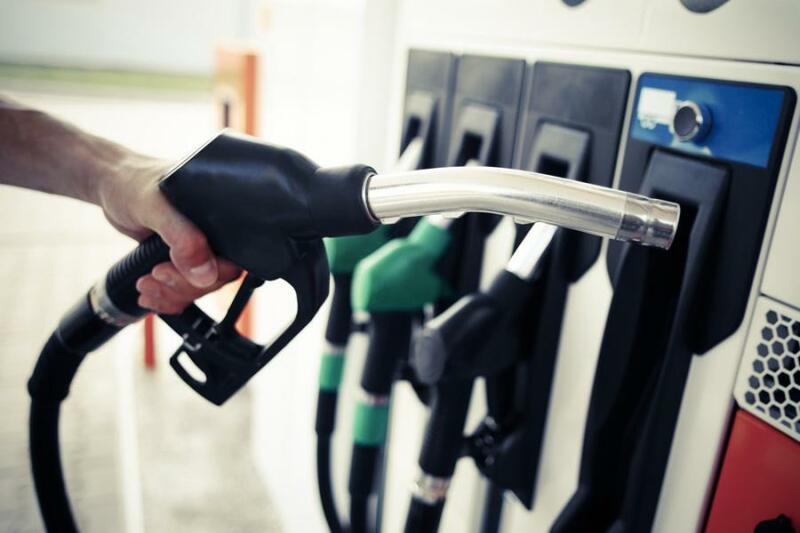 Lawmakers would have to approve the other $95 million in additional funding, which includes a wholesale tax on fuel that would raise gasoline prices by 3 cents a gallon and diesel prices by 6 cents a gallon. The proposal would also dedicate at least $35 million in tax revenue expected from new casinos, restricted reserve funds or other general revenue. Voters last year approved a constitutional amendment legalizing casinos in four counties, including at a Hot Springs horse track and West Memphis dog track. The proposal would also impose additional registration fees for hybrid and electric vehicles. The proposal would also raise an additional $110 million a year for cities and counties to maintain local streets and roads. House Speaker Matthew Shepherd said he believed the proposal would help win over some GOP lawmakers withholding support of the tax cut plan until they saw a highway proposal. "The highway discussion, for a number of members, is something they wanted brought to the forefront now as opposed to waiting," Shepherd, a Republican, said. Hutchinson said relying on the anticipated casino revenue would ensure the state isn't shifting existing funding from other state needs. Democrats, who have also opposed diverting existing funding toward roads, said they were cautiously reviewing the plan. "I think that piece on making sure none of our services, particularly education, are touched ... is what we have the most questions about," Democratic Rep. Megan Godfrey said. The proposal was applauded by the Arkansas Trucking Association, which had urged lawmakers to come up with a highway funding plan. But a conservative group, Americans for Prosperity, opposed the plan for its tax increases and extensions. Republican Rep. Dan Douglas said he was disappointed with the proposal and called it "problematic" to cut the state's top income tax rate while backing increases that will hit poorer residents hardest. Douglas, who has advocated dedicating tax revenue from car sales to roads, said the proposal doesn't go far enough. "It's kicking the can down the road," Douglas said.